Patrick Robinson could be making a surprise return to the Eagles in 2018. According to Ian Rapoport of NFL Network, the Philadelphia Eagles are expected to re-sign cornerback Patrick Robinson to a new contract this morning, before the "legal tampering" portion of free agency begins at noon. The #Eagles are working to retain CB Patrick Robinson, sources say, and the expectation is they do it before the tampering window starts. After signing a 1-year deal in 2017, Robinson emerged as one of Philly’s stars. Now he should be back. 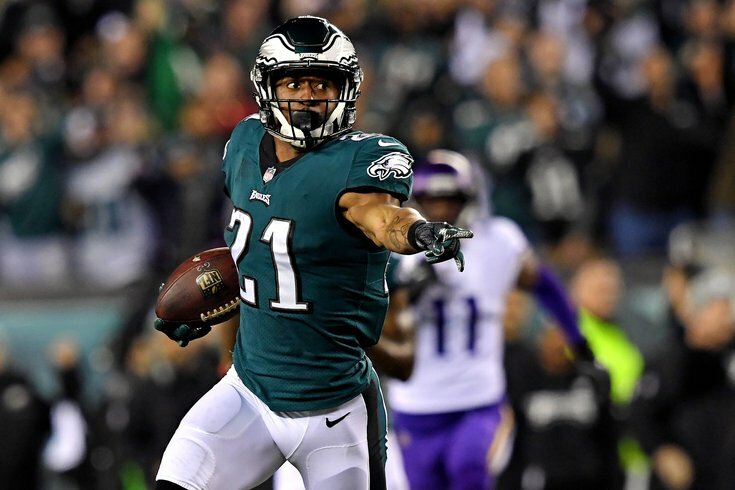 Robinson (30) signed as a Band-Aid three weeks after the start of free agency began last offseason, and then proceeded to have a career year as the Eagles' slot corner. In the Eagles' NFC Championship Game, Robinson made perhaps the play of the game, when he intercepted a Case Keenum pass and returned it for a touchdown with the Eagles already facing a 7-0 deficit. Robinson was perhaps the steal of free agency in the entire NFL a year ago. With his stock on the rise, he was poised to cash in on the open market, as corners tend to get paid. Should Robinson return to the Eagles, that would be something of a big surprise, seeing as the Eagles don't have much in the way of salary cap space, and impressive cornerback depth. The Eagles will almost certainly be trading a corner if Robinson stays in Philly, with the odds-on favorite being Ronald Darby.